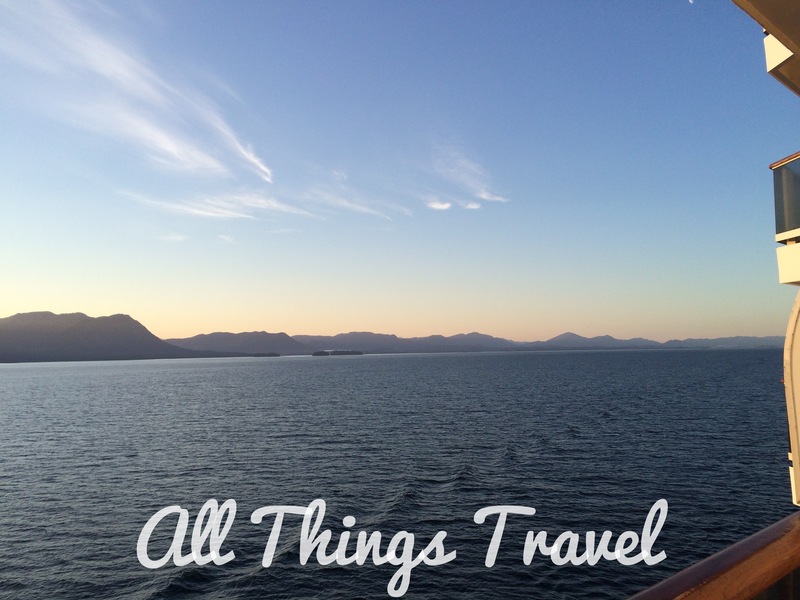 On the second day of our Alaskan cruise, we enjoyed a full day “at sea” sailing up the inside passage from Vancouver, B.C., to Ketchikan, Alaska. We were hoping to see wildlife along the way but with such dense woods, that was probably an unrealistic expectation. 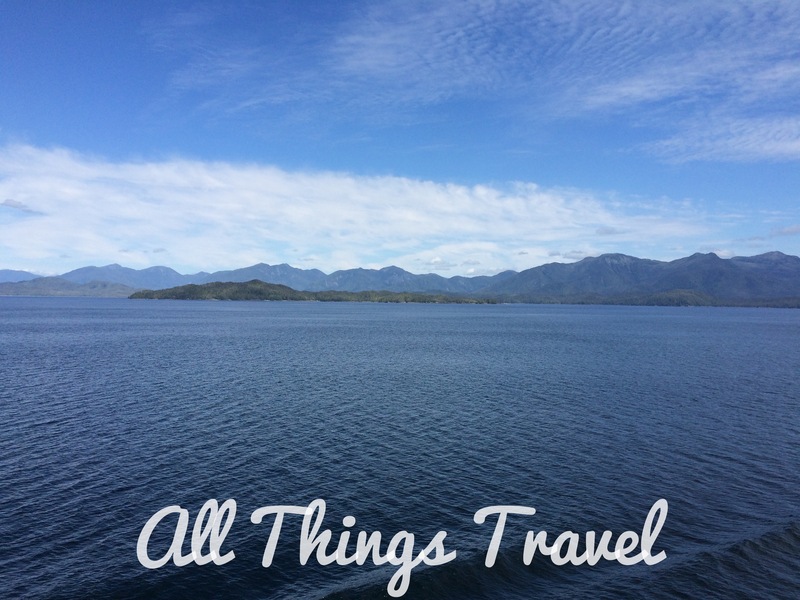 There were wildlife sightings in the water such as humpback whales and the captain would announce sightings from the bridge but it always seemed we were in the wrong place at the time. So we focused instead on the breathtaking scenery all around us that we would later learn was nothing compared to what was ahead. 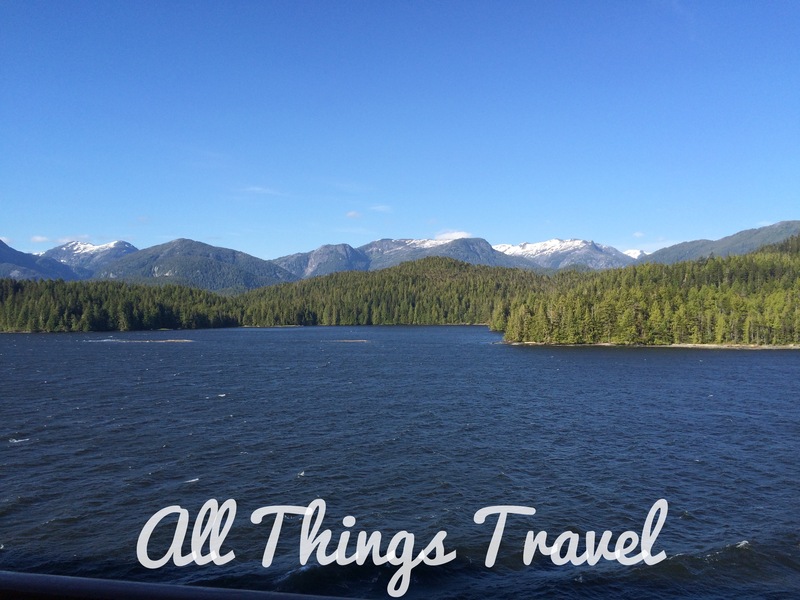 The next morning (day 3) we arrived in Ketchikan, Alaska. Jim had arranged a private fishing charter with The Alaska Catch, so he was up and off the ship early to meet Captain Mike. Be sure to read Fishing for the Halibut in Ketchikan next Tuesday featuring Jim’s guest blog post about his experience. 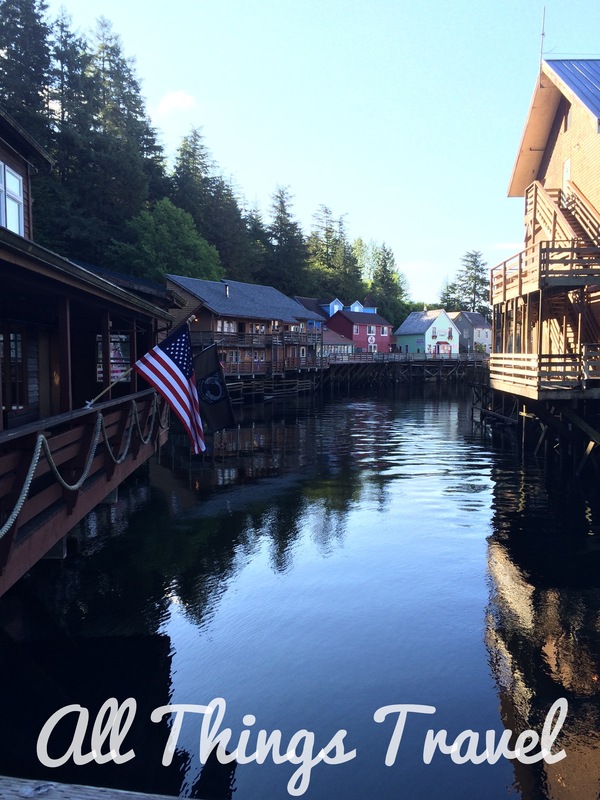 Meanwhile, Sheryl and I explored Ketchikan. 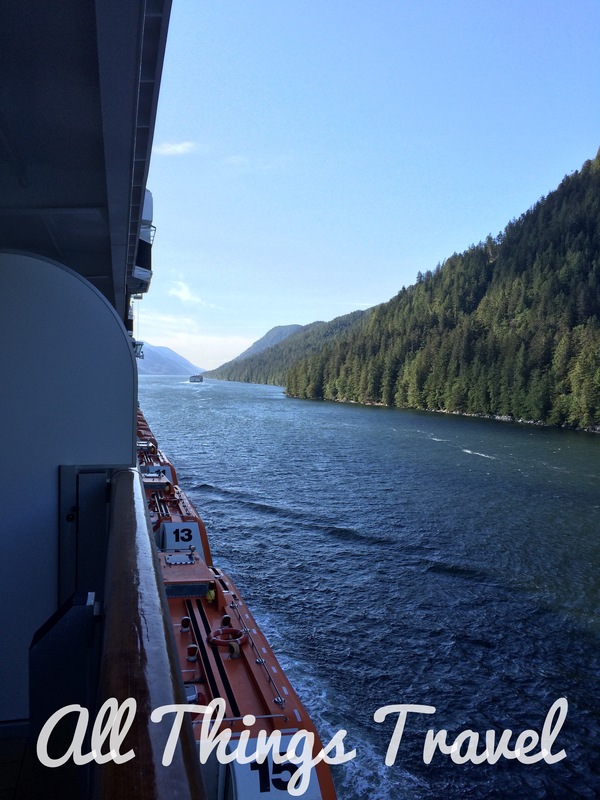 Imagine our delight to see blue skies and sunshine when we’d heard it always rains in Ketchikan. 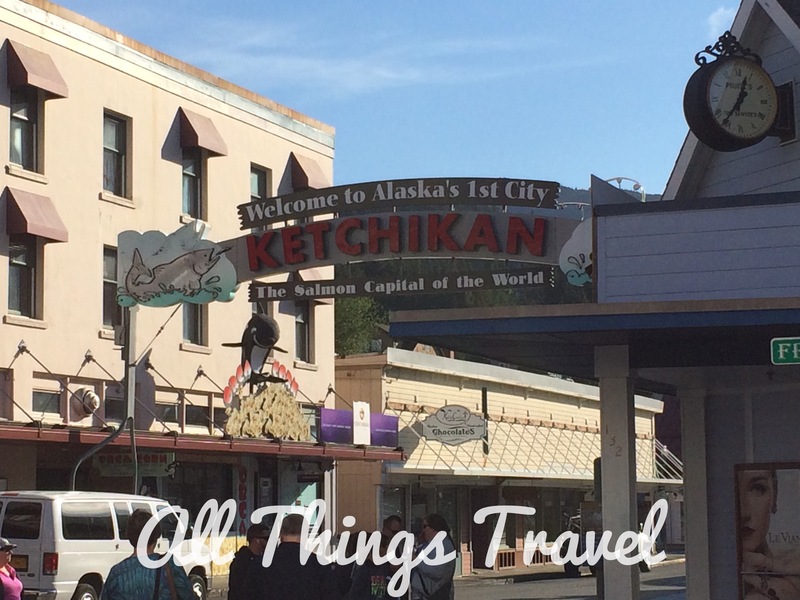 After noting that Ketchikan was Alaska’s first city and the salmon capital of the world, according to the welcome sign, we headed to historic Creek Street. 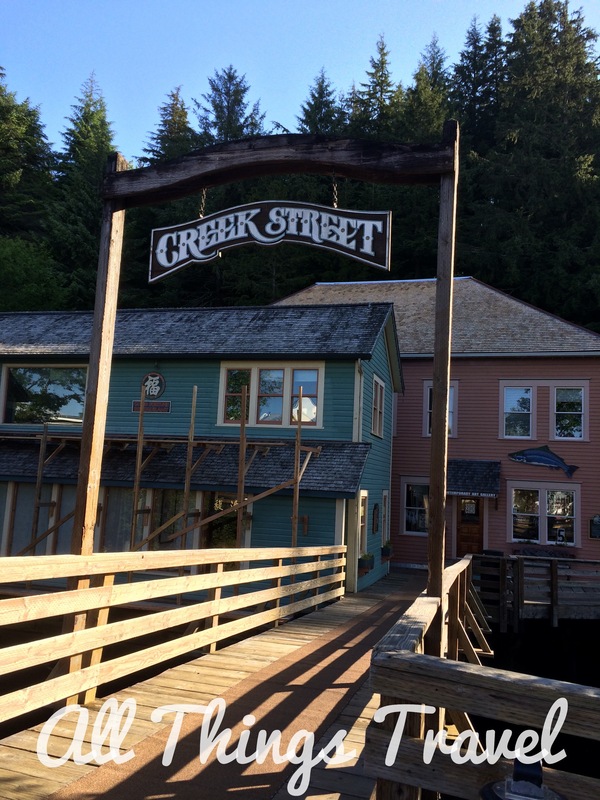 Creek Street was built literally on Ketchikan Creek. The wooden boardwalk built on pilings driven into the banks of the creek was home to Ketchikan’s red light district from 1902 until prostitution was outlawed in 1953, and the scene of bootleg liquor sold in speakeasies during Prohibition. 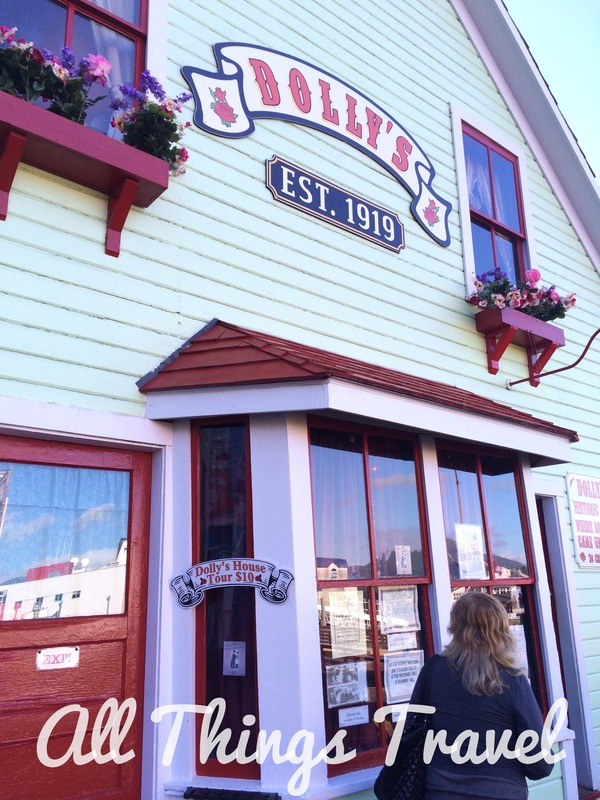 Today, there are shops and restaurants lining the boardwalk and Dolly’s House, where the famous madam had her lucrative business, is open for tours. The tour guide at Dolly’s offered us a rock bottom price of $5 so Sheryl and I did a walk through. 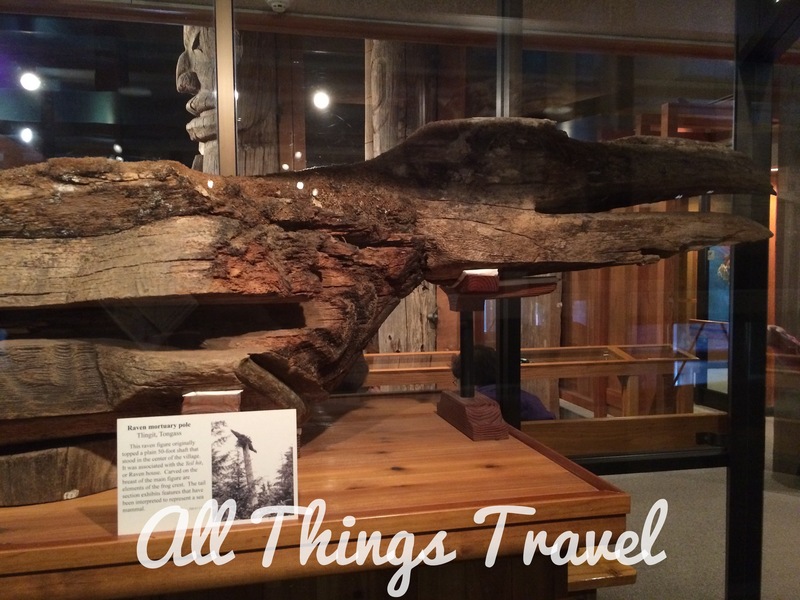 After checking out a couple of shops, we headed to the Totem Heritage Center. 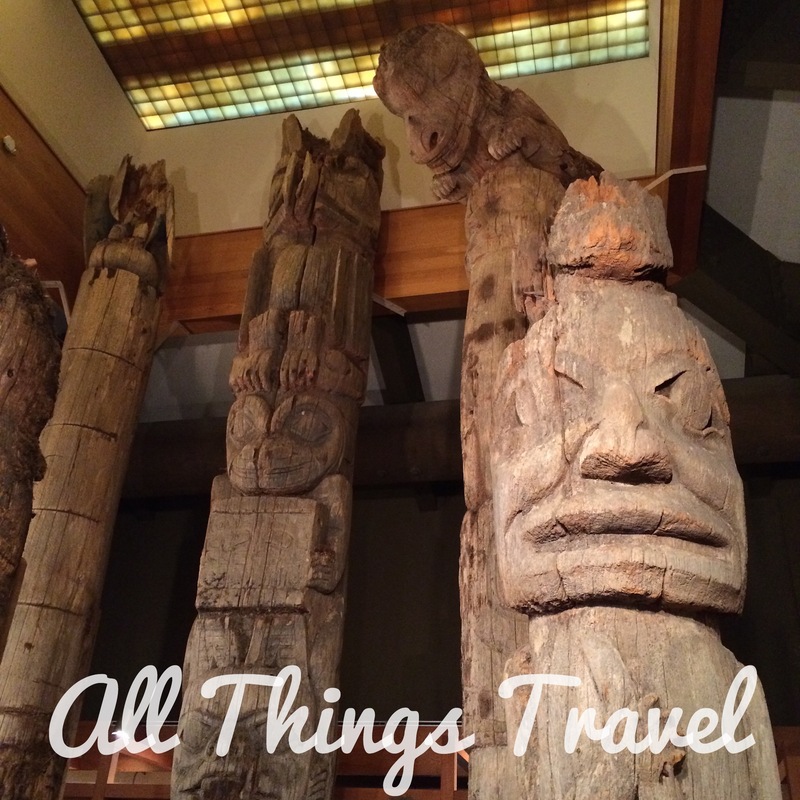 This museum is the repository of a priceless collection of Tlingit and Haida totem poles. 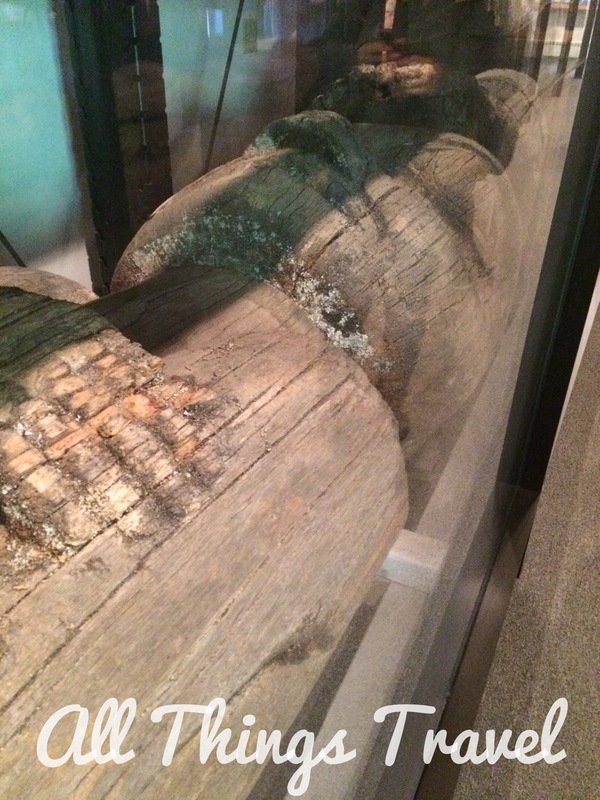 The red cedar poles, carved by local artists in the 19th century, were rescued and salvaged from Tongass Island, Village Island, and Prince of Wales Island with technical assistance from the Smithsonian Institution and U.S. Forest Service. 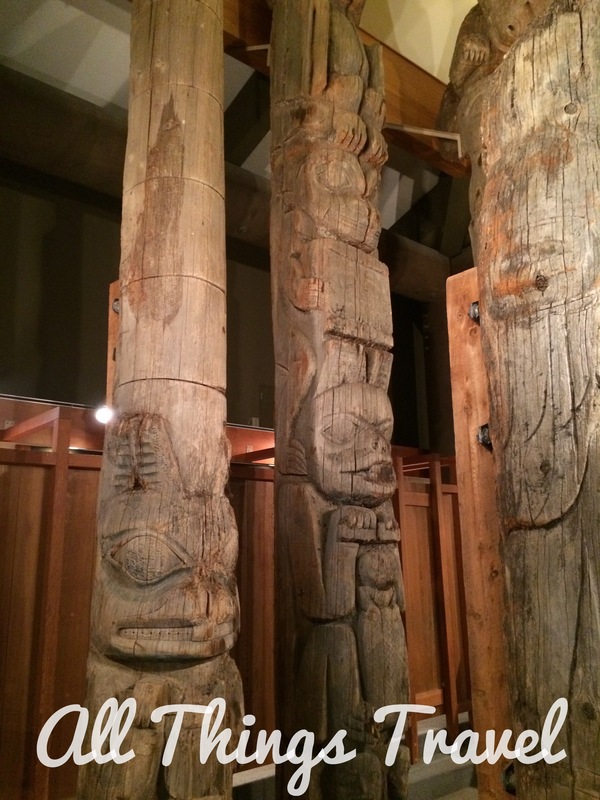 The $5 admission price was well worth it to see these original totems that are so culturally significant to the Northwest Coast Native peoples. 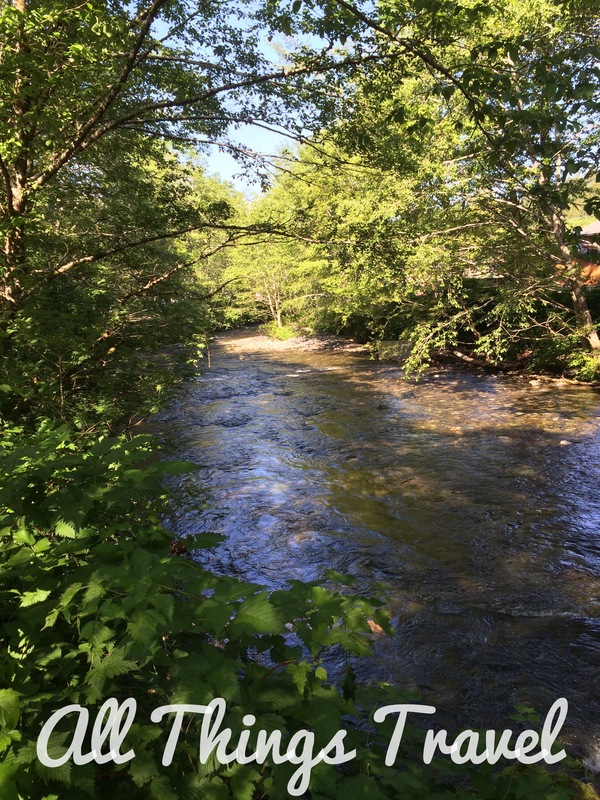 The Totem Heritage Center, located along the Ketchikan Creek, was the starting point for a lovely walk along the creek to Salmon Row where the hatchery is located, and ending at the Salmon Ladder. Pacific salmon are anadromous, that is they hatch in fresh water, migrate to the ocean to spend most of their life, then return to the area where they hatched to reproduce and die. When they leave the ocean, they stop feeding and their stomachs disintegrate to provide more room for the developing eggs and sperm. The appearance, flavor, and texture of the flesh isn’t very good for eating at this time so if you want salmon to eat, you fish in the ocean. 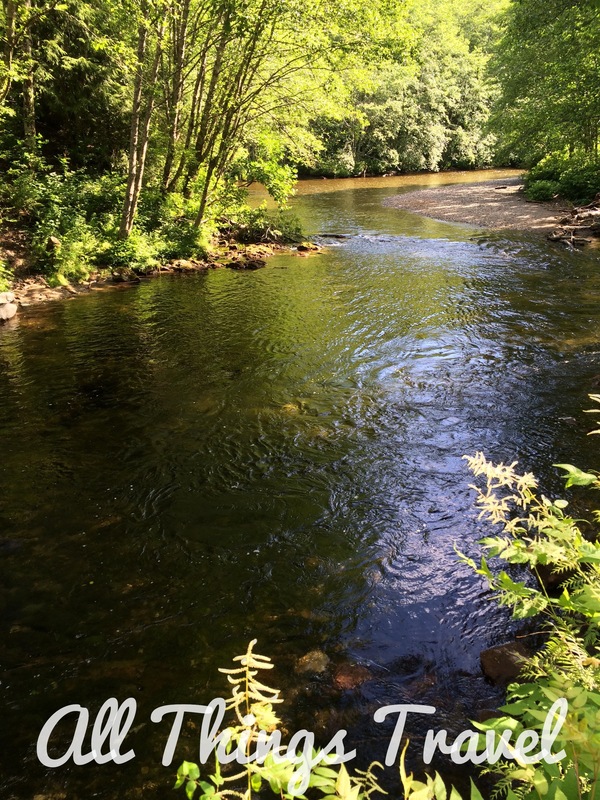 The rapids in the Ketchikan Creek is an extreme challenge for the salmon to surmount to reach the spawning area upstream. 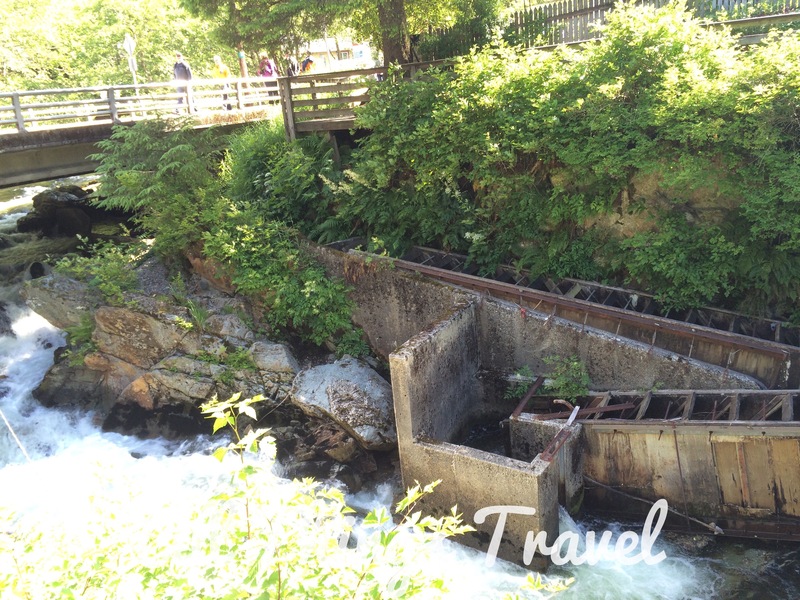 The Salmon Ladder on the creek assists thousands of salmon to reach their spawning area by allowing them to use the ladder which is essentially like stairs in the water rather than face the rapids. Unfortunately, we didn’t see it in action because although we were in Alaska at the beginning of the spawning season, we were a little too early to see any fish in the creek. Read more about the life cycle of Pacific salmon here. After a little more shopping and halibut fish tacos at Annabelle’s, it was back to the Oosterdam in plenty of time to set sail. I would call Ketchikan a good cruise port with plenty to keep a cruise ship tourist interested and engaged. What a great post with such fabulous pictures. I am truly loving seeing your posts about your Alaskan cruise and look forward to Jim’s post about fishing. That one I will have to share with the hubby who will love it I am sure. 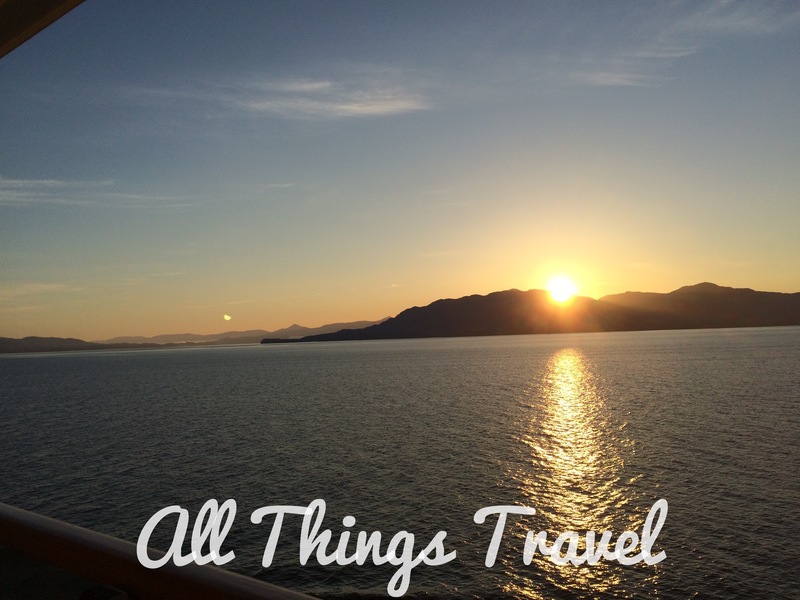 Thanks for another great travel post. Yes, Jim loved the fishing and we’ve enjoyed eating the results, too! 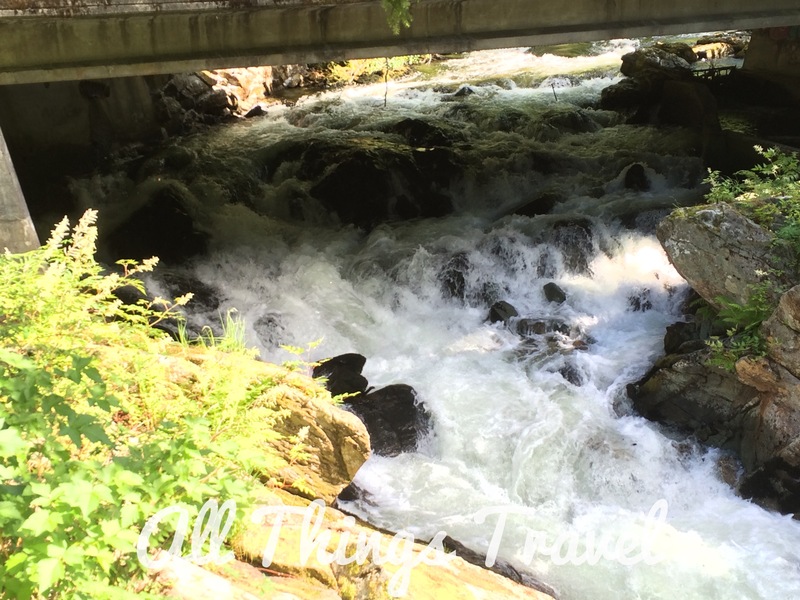 I loved how the semetry of the Salmon all returning to the fish hatchery where they were born, to reproduce. How convenient is that! Ahh, thanks, Sheryl.When I read your comment, I realized my mistake. Looks like a gorgeous little place, love those totem poles. What a shame you were a bit too early for the salmon, that must be something incredible to see. Yes, seeing thousands of salmon heading upstream en masse would be an amazing experience.